The call by the opposition United Party for National Development (UPND) that the ruling Patriotic Front (PF) should respect the Church is very hypocritical to say the very least. On record, the UPND has been anti-Church and anti-Prayer and maybe their newly found fondness for issues of faith is informed by the role its ‘De facto Vice president for Political’ Pastor Nevers Mumba. 1. The UPND did not only resist but also mocked calls for national prayer and fasting. 2. 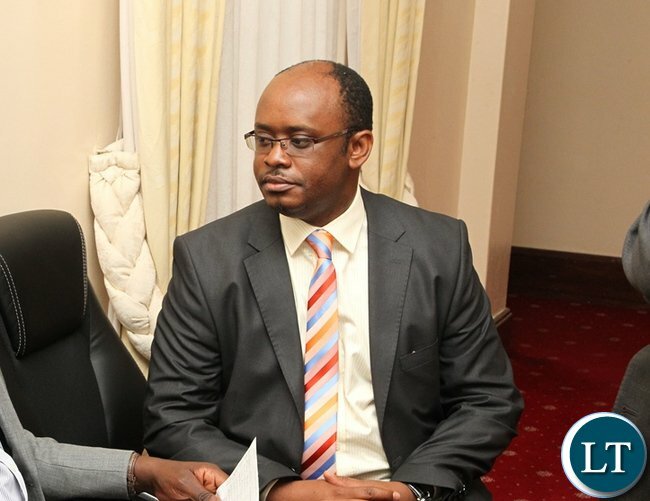 On multiple occasions and platforms, the UPND said the reliance on prayer and Christian worship to intervene in national issues was a failure to use human intelligence. 3. When the Church called upon the UPND to concede defeat and duly acknowledge the presidency of His Excellency Edgar Chagwa Lungu, the party responded with unpalatable language. The list of incidences where the opposition party has gone to the point of even publicly castigating church leaders who call upon praying and/or respecting the PF led government is both long and documented. Therefore, the UPND do not have any place to try and ‘align’ themselves with the church just because the latter seems to be saying something that might benefit the former. After history is written, generations of Zambians will read about a President who declared 18th October as a National Day of Prayer, Reconciliation and Fasting in line with the words of scripture in 2 Chronicles 7:14 “If my people, who are called by my name, will humble themselves and pray and seek my face and turn from their wicked ways, then I will hear from heaven, and I will forgive their sin and will heal their land”. Acting on Zambia’s faith as a Nation, God answered our prayers, we have had sufficient rains and bumper harvests. We continue trusting in God for wisdom and favour. 1. How do you call for national prayer and at the same time brutalise the same people that you are calling for prayer? 2. How do you deliberately institutionalise corruption and there after ask people to go and pray because the economy is just failing? 3. How do you openly rig the election and there after ask the opposition to accept the results? This guy looks smart but what comes out awe sure. Truely a crackpot indeed. Bushe mu PF is there no smart people to be media directors? The people in PF truly exemplify the arrogance of ignorance. Ba Eddie – Those are just your opinions, they do not reflect the truth. But just respond to Chanda’s call on the hypocrisy of the UPND. You mocked call for prayers, didn’t you? Without reading this crap, it is the creeps like Chanda that are exacerbating the situation we have. Mr. Chanda, you do not have to respond to everything lest you look foolish. You are making the President look bad in the eyes of the people. Can you tone down guys. Mr. Chanda, you do not have to respond to everything lest you look foolish. You are making the President look bad in the eyes of the people. Can you tone down guys. No one looses. Sunday is very smart. The fact that he is receiving insults from the sons of the devil is proof enough that he dpeaks what hurts them most. Keep it up sunday. Your grammar is also super unlike kakoma who can’t write a sentence without insults. Ati sons of the devil? kuti watina who is the devil? one who steals poor people’s money and jail others for yhe sake of it or one who works hard really had. One day that devil you like accusing will knock you! The blame game will continue. PF must show leadership and talk to opponents. Imagine you have conflicts with your neighbor and don’t need to talk to your neighbor, what will you have achieved to be adamant. Personally, I am ready to my worst enemy because I believe your worst enemy or critic can be great supporter. I pit President Lungu because he is surrounded by wrong pipo whose interests is to satisfy their bellies. Let him open up and see beyond the wrong advise he gets from his handlers before he leaves to regret. Thanks. You use all manner of intimidation, arm twisting and hate speech to win an election by crook and hook then being the devil you are call for prayers in conjuction with a bunch of diabolical men of God “sorry men of gold”and expect the enlighted to oblige ,chief pretender is no longer attending church he does not have time lately ,but he is forever crisscrossing the region for dictactorial lessons from his mentors mugabe,m7 and kagame. Sondo continue brain washing the gullible with you fake prayer calls spearheaded by pukuta, joshua ,pule ,chomba and co.
Well written. Sa..ta..ni..st now realize there is God. Sa..t..an is no longer helping hh. How is he practising sa..ta..ni..sm in jail. PF always seem to be in a fighting spirit. SUNDAY, YOUR UTTERANCES ARE SO HYPOCRITICAL; YOU CANNOT FORCE PEOPLE TO PRAY WITH YOU WHEN WE CAN SEE THAT YOU USE THE CHURCH AND THE NAME OF GOD TO HOODWINK PEOPLE TO BELIEVE THAT YOU ARE HUMBLE. THE CHURCH HAS BEEN USED FOR POLITICAL MILEAGE. PRAY ABOUT THE DEBT YOUR GOVERNANCE HAS PLUNGED US INTO. IT IS NOT THOSE THAT PUBLICLY SAY LORD,LORD THAT WILL BE SAVED BUT RATHER THOSE WHO HEAR THE WORD OF GOD AND KEEP IT. When will police arrest the bald headed chap???? Someone must flash UPND in the t….! MONEY LOVERS I WONDER WHO THE FOOLISH MEMBERS ARE AS CLEVER AS I AM I CAN NOT WORSHIP GOD WITH FOOLISH PROPHELAIRS AND MAMMONS WHO ARE IN THE HOUSE OF WHAT? NO WAY! TO ENRICH THEMSELVES. BE LIKE CATHOLICS THAT IS WHY I DONT ENTERTAIN FOOLISH SWINDLERS IN SO CALLED CHURCHES. BECAUSE A CHURCH HAS MANY PEOPLE BELONGING TO DIFFERENT POLITICAL PARTIES NOW IF A KA BISHOP OF THOSE FOOLISH MEMBERS BECOME PARTISAN HOW WILL OTHERS FEEL? TRUE AND FEARLESS MEN IN THE BIBLE TOLD KING DAVID OPENLY ABOUT HIS SINS BUT THESE PARASITES WE ALWAYS SEE AT STATE HOUSE ARE A DISAPPOINTMENT THEY DONT PREACH PEACE ALL THEY SAY IS TORTURE HIM FOOLISH AND FAKE PASTORS AND FOOLISH ENOUGH ARE YOUR FOLLOWERS WHO ENTERTAIN STUPIDITY TO ENRICH YOUR POCKETS. SINCE WHEN DID YOUR FRIEND BECOME A CHRISTIAN?